Today's post is a tribute to Leonard Nimoy. Although best known for his role as Spock in the original Star Trek series, he was also a film director, poet, singer and photographer. Beloved by many and a sort of living metaphor for our attempts at objectivity - as a fictional character with a Human mother and a Vulcan father, he always sought to suppress his emotions. 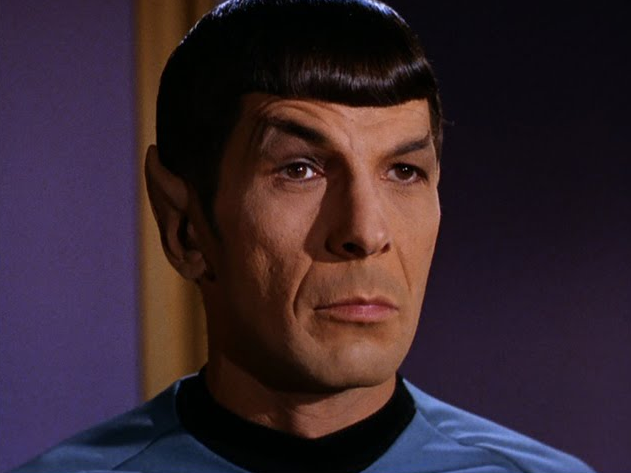 The image above is a classic facial expression of Spock, often preceding or following the spoken word, "Fascinating". A unilateral raised eyebrow is a highly characteristic nonverbal signal of disbelief. And while this is one of the most common facial configurations of incredulity, it's not the only one. What others can you name? Thank you Mr. Nimoy. You have the helm. Nonverbal Communication Analysis No. 3115: Giuliana Rancic apologizes to Zendaya Coleman comment made regarding her dreadlocks at the Oscars - that she "smells like patchouli oil and weed" on "Fashion Police" - Is She Sincere?